Emmetropia describes the optimal state of vision, whereby a faraway object is in sharp focus on the retina with the lens in the eye completely relaxed. 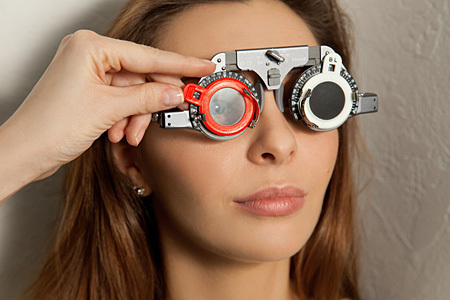 An emmetropic eye therefore, has perfect vision without the requirement for corrective lenses. Ametropia refers to any condition of the eye in which a refractive error prevents images from focusing on the retina. Eg. myopia, hypermetropia, astigmatism.